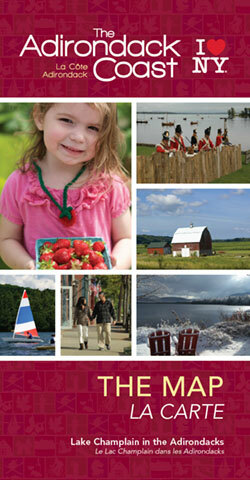 Want to start planning your next trip to the Adirondack Coast? Browse, download and save our popular information guides. Simply click on the brochure you want and have the information at your fingertips…instantly. 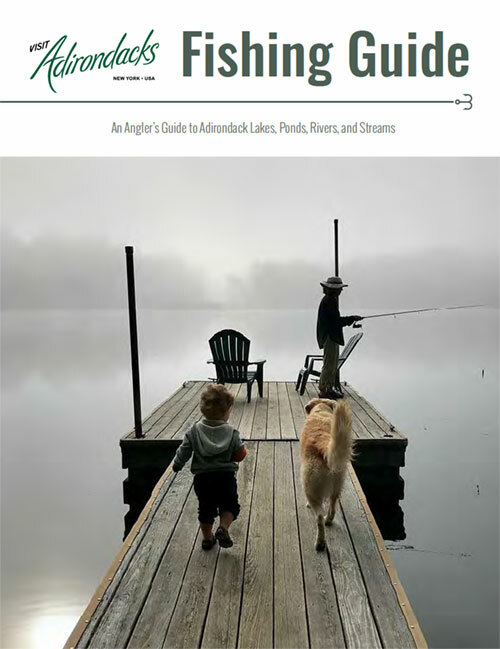 Escape the everyday with the Adirondack Coast Travel Guide; an all in one, handy brochure that gives you a sneak peek at the best of what we have to offer! This download features a detailed map of Clinton County and a second map of the Plattsburgh area. If you’re a lover of all things history, this is the map for you! Follow the routes British and American soldiers traveled during the War of 1812 and make sure to stop at some of the heritage sites and museums along the way! Pack your bike and coast a while with this double-sided card pointing you to the best biking routes for all capabilities throughout the Adirondack Coast! Visiting us from Canada and looking for tips when it comes to bringing things back across the border, or even what size t-shirt to buy in the states? This handy card includes conversions and will tell you all of that and more to help make your stay just a bit easier. 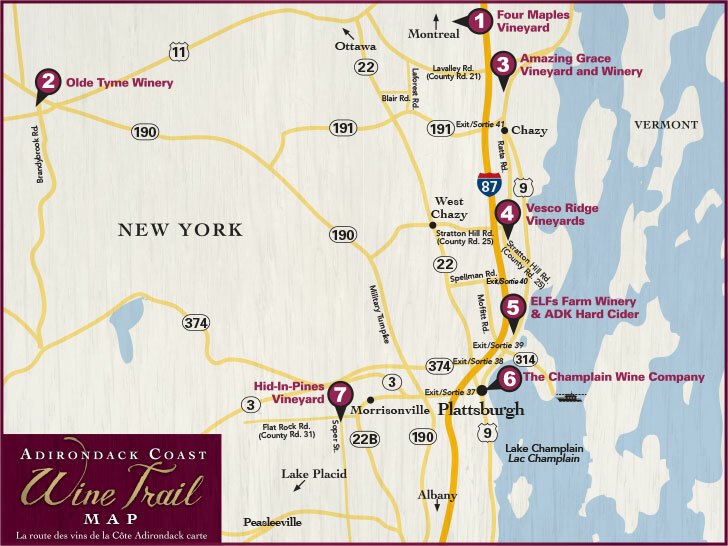 If you're a wine enthusiast, this map will help you locate and provide information for 6 wineries on the Adirondack Coast. 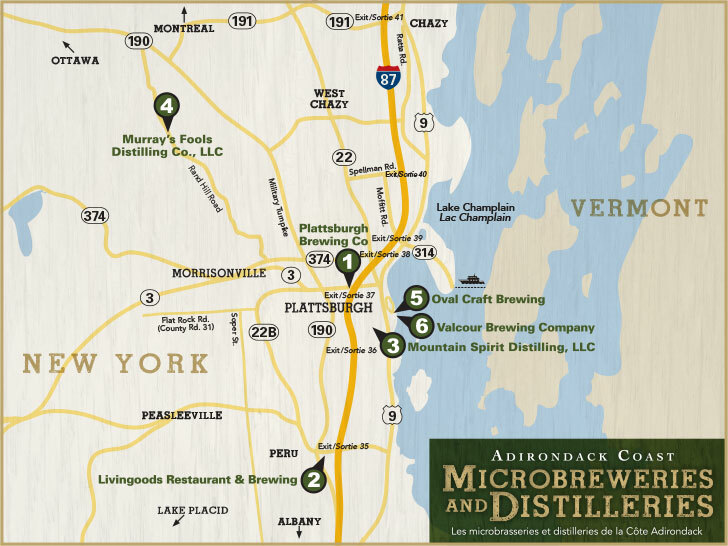 If you like craft beer or to taste fine spirits, this map will help you locate and provide information on what the Adirondack Coast has to offer. Boasting a story unique to our nation's history, museums along the Adirondack Coast are ready to tell it. From centuries-old agriculture practices to epic naval battles, the Arts and History Passport helps visitors navigate through each story, pointing you to the right sites. Get a stamp at each location and be entered to win a great prize! Plan your next fishing adventure on the Adirondack Coast! With over 3,000 lakes, ponds and rivers to explore, including the famed Lake Champlain, and fish species from native brook trout to monster walleye, Small and largemouth Bass, and Northern Pike are ready for you to explore. Your guide to the thousands of lakes, ponds, and rivers ready for your kayak, canoe, SUP, or other non- motorized water craft! From multi-day paddling trip to road-side boat launches for a short adventure, there is much to be enjoyed here in the Adirondacks. From the famed 46ers to more gentle hikes, this guide will help you find the best hike or walk in the Adirondacks and is a great resource for hikers regardless of skill level. Find the perfect hike for your group, whether it's a leisurely stroll near a quiet lake or a more advanced trail along a waterfall. Want a brochure mailed to you?